The Refugio de Los Suenos is a place full of love and hope. I have found that there is no greater joy than walking through the front gate of the Refugio and being greeted with countless hugs and the air full of love. These beautiful children suffer from so many types of abuse, hunger, sadness or simply live in dire poverty. Yet when they arrive at the Refugio there is a magical change. There is laughing and playing, learning about new things, eating a nutricious meal, being hugged by a caregiver and simply feeling safe and loved. All of their troubles and fears are simply left outside of the gate when they enter the Refugio. 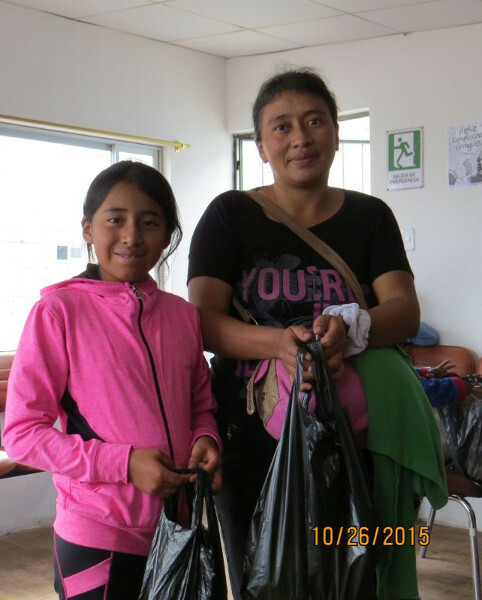 To quote a Rotarian who once visited the Refugio "It is a Heart-Making, Heart-Breaking experience". 'Heart-Making because of all the love and hugs of gratitude visitors receive from the children yet Heart-Breaking knowing about all of the hardships and fears that the children face outside of the walls of the Refugio. Reflecting on these Heart-Making, Heart-Breaking moments with the children are what inspires we as volunteers to commit to doing all that is possible to help the children have a better future and to keep the Refugio open. There is never any doubt that the children appreciate all that is being done for them. Even at such a young age their tight hugs accompanied by their words of gratitude makes all the hard work worthwhile. 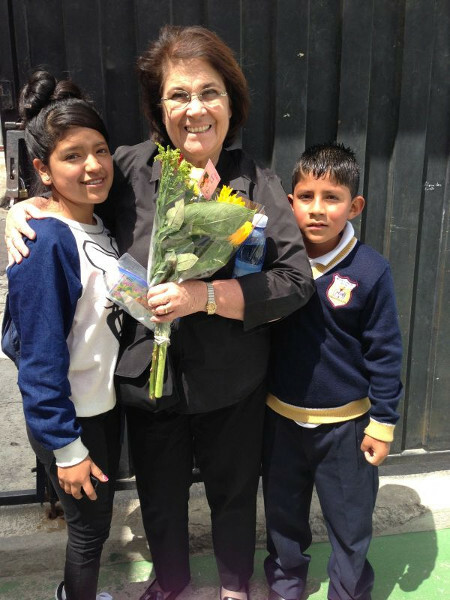 A young lady who is now 26 years old spent her entire childhood growing up in the Refugio. Her stories of daily struggle, abuse, hunger, loneliness and fear outside of the Refugio still weigh heavily on my heart. One day she explained to me how much the Refugio will always mean to her. Even now as an adult when she is going through a difficult time she simply goes up to the Refugio when nobody is there. She lays on the ground and while hugging it she says to herself "I'm home, I feel safe, protected and loved...everything will be OK. There are countless children through the years who consider the Refugio de Los Suenos as their "Real Home". One day when I entered the Refugio the children were so excited! Susette, Susette come here quick...the water is smoking. We had just installed a hot water heater and they had never experienced hot water. Long before the children at the Refugio were familiar with "Stickers" I had brought pages of stickers for them. On the day I was leaving to go back to the States a little girl came up to me with a card. She had made it from a piece of cardboard that she had found and on it were all of the stickers I had given her. She expressed how happy she was that I gave her the "stickers" and wanted to make me a thank you card with "all of the stickers". I have found that over the years both the children and the workers at the Refugio are so very generous and grateful. They are always wanting to return a good deed with a good deed. Once I gave a child a tiny piece of candy...she bit it in half and offered me the other half. 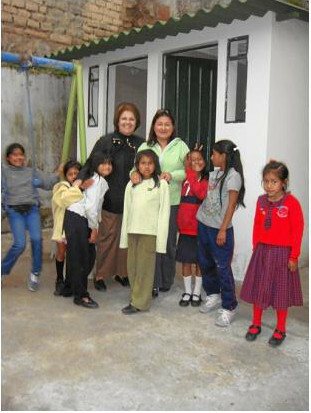 St. Mark Lutheran Church had just started their scholarship program to enable the children at the Refugio to go to school. We decided that it was necessary to build two showers so the children could go to school all cleaned up. The showers still needed the hot water hooked up and the locks on the doors. It was a cold day when I saw two girls playing in the showers. I gently explained that the showers were not a playing area but rather to take showers. The one little girl who was holding the door shut exclaimed, "Oh no, we are not playing. My friend is taking a shower." It was a cold day, the hot water was not hooked up but the little girl still took a shower. As she came walking out dripping wet she also did not know that you do not take a shower with your clothes on. Despite all, she had a smile from ear to ear. A few years later we were able to build a "Life Skills Room" thanks to the generosity of the Jim Sawhill family. This room is set up to teach the children basic life skills such as how to sit at a table, clean up dishes in a kitchen, pretend to cook and bake, sleep in a bed, play dress-up, go to the store to make purchases, how to pay the electric and water bills, how to go to a clinic, comb your hair etc. The children learn so many things at the Refugio thanks to the very dedicated staff. Due to Government cutbacks the staff has been reduced to a bare minimum. The Government also no longer helps pay for their salaries. However, the staff continues to be extremely dedicated to giving the same quality of care despite the fact that the number of children continues to increase. Due to the shortage of staff the workers willingly work countless extra unpaid hours. The Dentist now helps with lunch, the Director and Accountant help in the Life Skills Room and Vocational Training. 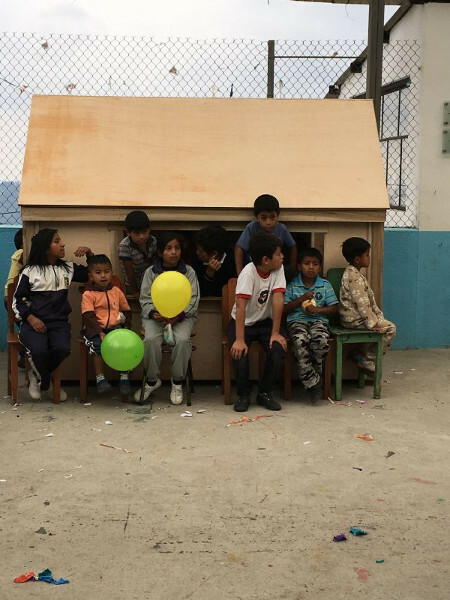 The Therapist gives classes in the Carpentry Shop, the Social Worker knows every child's situation and how they are doing in school despite the number growing to 172 children. While we are very proud of all of the workers we are very proud of our worker Darwin for still one more reason. 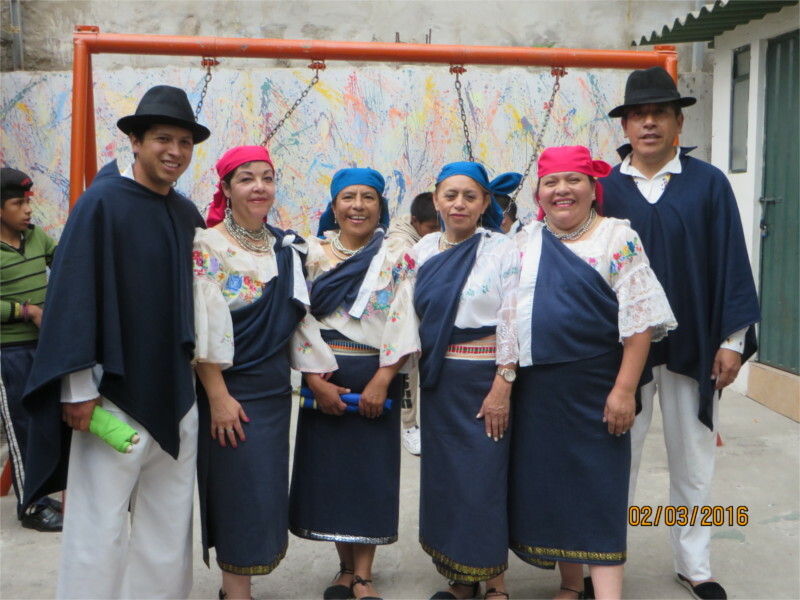 After graduating from High School and then graduating from the University he returned to the Refugio to give back to the Refugio in return for what they had done for him when he was a child. We who have worked with the Refugio Staff cannot thank them enough for their unconditional love and dedication to the children. To many of these children these workers are the ONLY caring adults in their lives. Many will tell you they consider them as their parents.